Jakarta (ANTARA News) – Indonesia won three awards as the world halal tourism destination at the World Travel Awards 2015 event held in the United Arab Emirates (UAE). Tourism Minister Arief Yahya here on Wednesday stated that the award reinforces Indonesia as a world-class halal tourist destination. “This victory is for all of us, and in the future, we should be more focused on developing Indonesia as a global halal tourist destination,” he noted. 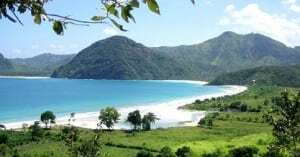 Lombok in West Nusa Tenggara province as well as the Best Family-Friendly Hotel for Sofyan Hotel. The winners of the World Halal Travel Awards 2015 were announced at a gala dinner in Abu Dhabi on October 20, 2015, in conjunction with the World Halal Travel Summit 2015. Indonesia competed with Malaysia and Turkey to win the halal tourist destination award. The minister revealed that Indonesia was nominated in five categories as it is considered as one of the fastest-growing countries in global tourism. “This award is given to those who are the best in the international travel and halal tourism industries,” Arief emphasized. The World Halal Travel Summit and Exhibition is established by the Ministry of Tourism and Culture of Abu Dhabi, UAE.